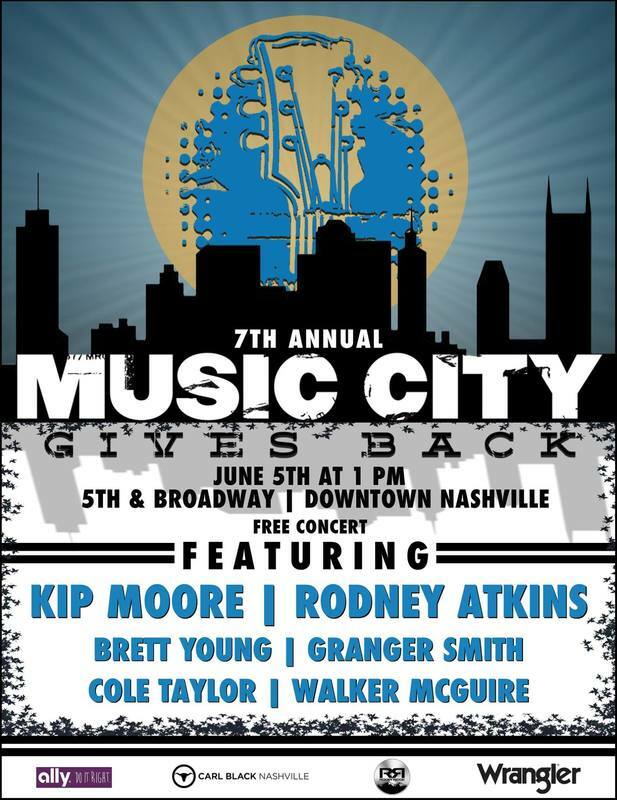 The 7th annual Music City Gives Back concert was originally scheduled for Tuesday, June 6. It was moved up a day to act as the pre-concert event for the Nashville Predators watch party. The concert was free and located downtown at 5th and Broadway. The 2017 event featured many autograph signings and performances by Walker McGuire, Cole Taylor, Granger Smith, Brett Young, Rodney Atkins and Kip Moore. The rain didn't dampen any spirits for this great event. 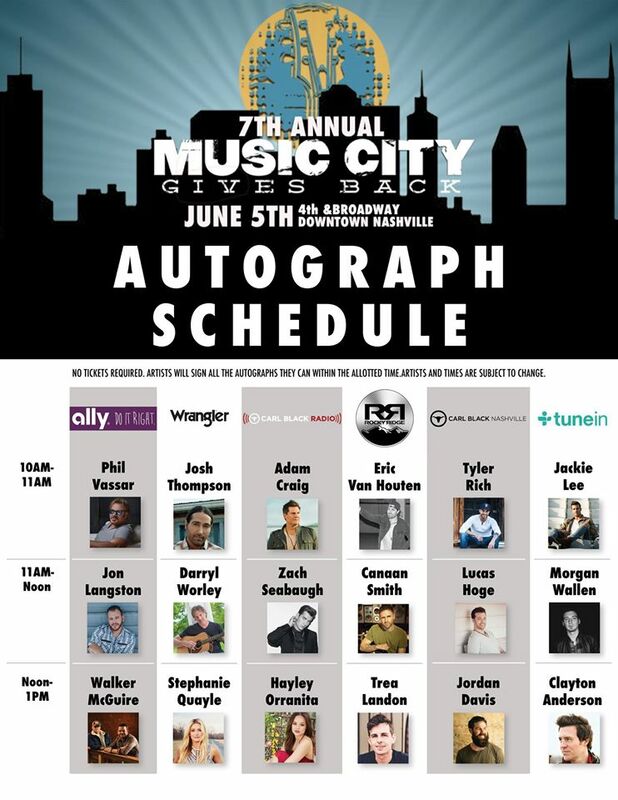 Music City Gives Back benefits the kids at W.O. Smith Music School. We were able to catch the performance by Brett Young and Rodney Atkins. VIEW PHOTOS.